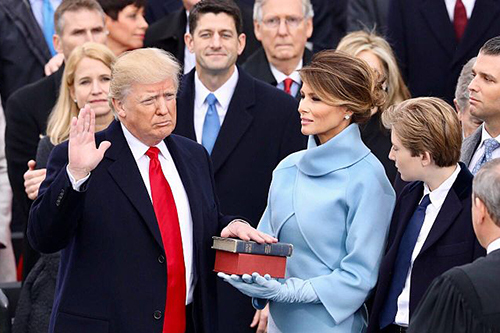 On January 21, 2017, Donald John Trump raised his right hand and, with just the hint of a smile of self-vindication, took an oath “to preserve, protect and defend the Constitution of the United States, so help me God.” “We the People,” the Constitution begins, and its foundation stone is the right of the People to elect our leaders through the free exercise of elections without the interference of any foreign power. “We the People,” the Constitution begins, and its foundation stone is the right of the People to elect our leaders through the free exercise of elections without the interference of any foreign power. Yet in his 18 months as President, Donald Trump has seemed to walk away from his constitutional oath by failing to show leadership or develop a plan to protect the 2018 mid-term elections from another round of political aggression by Russian hackers, trolls and internet bots hired, mobilized and targeted against our election system by the Kremlin’s intelligence agencies. 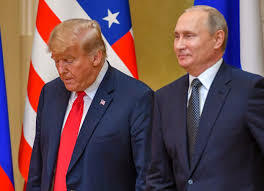 Recently, in Helsinki, after meeting with Putin, Trump puts as much trust in Putin’s denial of Russian meddling in the 2016 U.S. elections as he does in the finding of U.S.intelligence agencies. Asked about the conflicting versions, Trump told a news conference: “They think it’s Russia. I have President Putin — he just said it’s not Russia. I don’t see any reason why it would be.” Efforts to walk it back by suggesting he misspoke, intending to say “wouldn’t,” are laughable. Last February, 13 other Russian agents were indicted by name by the grand jury working with Special Counsel Robert Mueller for interfering the US election via social media. But President Trump’s reaction on Twitter focused not on Russian electoral aggression but on claiming innocence for his campaign. “The Trump campaign did nothing wrong -no collusion!” Trump tweeted. In St. Petersburg, The New York Times and other media compiled and published inside stories from Russian employees describing how at the Internet Research Agency, their Internet trolling factory, run by Yevgeny Prigozhin, a close political associate of President Vladimir Putin, nicknamed “Putin’s chef,” had targeted operations at American politics, specifically the Trump-Clinton race in 2016. Putin Sees No Price to Pay for Meddling in U.S.
Last winter, the Trump Administration’s top-level national intelligence team — the heads of five major intelligence agencies – testifed at a congressional hearing that Russian intelligence operatives are already at work, gearing up to sow discord and disrupt the 2018 mid-term US elections. Coats renewed his warnings against Russian electoral interference just a few days ago, on the virtual eve of Trump’s meeting with Putin in Helsinki. And Coats was dumbfounded after learning, on live TV, that Trump had invited Putin to the White House after the Helsinki joint appearance had been universally panned. 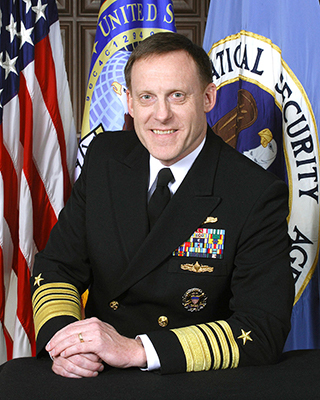 The nation’s intelligence chiefs all but say openly that they are looking for leadership and guidance from the President for them to organize concerted efforts to provide for the security and protect the sanctity of the mid-term congressional elections. But their testimony provokes no discernible response from President Trump. Does Trump Fear Uttering a Sour Word vs. Putin? Donald Trump’s deafening silence on the Russians and his kid gloves treatment of Putin leaves people asking whether there is some important and explosive truth in that notorious dossier compiled by former British spy Christopher Steele suggesting that the Russians do have some Kompromat – compromising material on Trump that he dares not trigger. In a flash, the President can explode on Twitter in mockery or fury at British Prime Minister Teresa May, at American courts and judges, at Democratic Party leaders like Nancy Pelosi and Chuck Schumer, at Republican Senators like John McCain of Arizona, Bob Corker of Tennessee, or Senate Majority Leader Mitch McConnell, or at his much maligned Attorney General Jeff Sessions. But Trump acts as if his saying one sour word about Putin would be like stepping on a land-mine. To Trump, of course, the issue of Russian meddling in the 2016 campaign strikes dangerously close to undermining the legitimacy of his election. Hence his reflexive dismissal of any investigation on that issue as “a witch hunt” or “a hoax.” Against mounds of evidence amassed for him by U.S. intelligence agencies, Trump takes Putin’s denials of Russian interference at face value, not just at Helsinki but previously, too. It’s now a Trump refrain. No point in turning over stones, Trump evidently believes. For while he set up a commission to look into alleged voter fraud, he ignored calls from state election officials to develop a coordinated national plan to protect America’s electronic voter registration and vote-counting from Russian hacking. His commission on the “integrity” of U.S. elections closed down without ever addressing the Russian threat or past intrusions. While his security and defense chiefs have identified Russia as a major threat to U.S. national security, Trump has avoid action on Russia, or even the bluster he throws at allies. He long defied Republicans in Congress by stalling the implementation of sanctions against the Russians for their meddling in the 2016 elections, even though those sanctions were mandated by overwhelming bipartisan majorities in Congress last summer. When his Administration finally to action, months later, it was more like a popgun then a cannon. the Administration tiptoed into implementing a portion of the congressional sanction package against 19 Russian officials and five intelligence agencies, several of whom had already been sanctioned by the Obama administration. And that happened only after intense public bipartisan pressure from Capitol Hill. Inevitably, this raises fundamental questions: What is Trump afraid of? Has he failed to meet his oath to “preserve, protect and defend the Constitution”? And, if so – if he fails to take clear action to protect our 2018 elections, is that an impeachable offense?